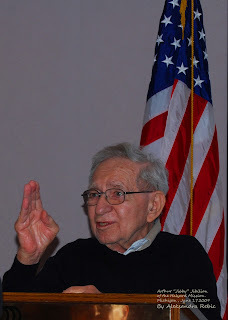 Arthur Jibilian, 86, speaking at the "Forgotten 500 Reunion"
General Mihailovich to Arthur Jibilian in 1944.
in the battle for freedom"
row in front of General Mihailovich and Captain Nick Lalich. Arthur Jibilian, standing far right, in Pranjani, Serbia, 2004.
and American airman Clare Musgrove. Photo courtesy of Arthur Jibilian. Aleksandra's Note: For me, one of the measures of a man is how deeply the loss is felt in the hearts of those who knew him or, if they didn't know him personally, were affected by his work or by his existence on this earth in a positive way. OSS radioman Arthur "Jibby" Jibilian was short in stature but a giant of man in the hearts of all of us who were fortunate and privileged enough to know him. 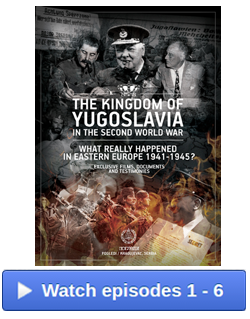 He was directly involved in the great Halyard Mission Rescue Operation of 1944 in Nazi-occupied Yugoslavia, both in Serbia and in Bosnia. He was directly responsible for saving the lives of over 500 American airmen stranded on that territory and considered MIA and virtually left for dead for a good length of time before they were rescued. 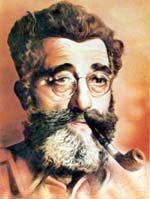 What was even more impressive was that for Arthur Jibilian, coming home to America didn't mean leaving the past behind. 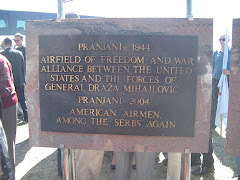 Instead, he made it one of his life goals to vindicate the Serbian commander who made the multiple rescues of the stranded Americans and other Allied airmen possible. 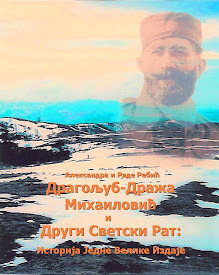 Arthur never forgot General Draza Mihailovich, whom he was fortunate enough to meet personally while in Serbia and Bosnia, and gave his heart and soul to seeking justice for the General and righting the wrongs of the historical record. It was a big task. 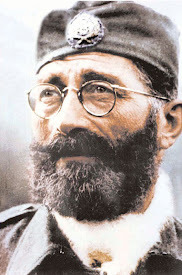 To his dying day, Arthur Jibilian wanted nothing for himself and everything for Mihailovich and the Serbs who had saved the lives of the Americans in the former Yugoslavia during World War II. His efforts were not in vain. The historical record is now a more truthful one, a more just one, because of him. When Arthur died on March 21, 2010 I felt the loss in my gut. To this day I continue to feel it in my heart. 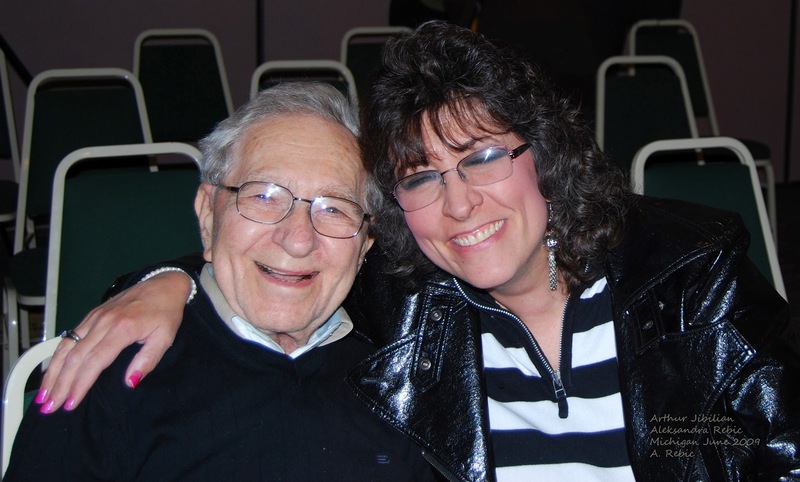 I selfishly wish he were still here with us, because he was truly such a dear, good man. A good friend. I regret that he did not live to see the Mihailovich Rehabilitation judicial process begin in Belgrade, Serbia in September of 2010. I know that he would have willed himself to live long enough to see justice for the General come to fruition. His remains were interred in Arlington National Cemetery on May 5, 2011. I hope Arthur Jibilian is watching and reading and listening. I hope he knows how much he is missed. We have not forgotten. Below are the sentiments of some people who knew Arthur personally or knew of him that were shared with me back in March of 2010 following his passing. On this second anniversary of his death, these tributes speak to the measure of the man. "Last week, (March 2010) I accompanied Don Alsbro and three other 'Lest We Forget' veterans to West Virginia to visit Mr. Frank Buckles, WWI veteran. Along the way, we stopped in Ohio to see Mr. Jibby and his wonderful wife and daughter. We had a nice lunch and spent some time with Jibby and his family. "I can't tell you how sad I was when I heard the news. Jibby was so gracious when we saw him. He remained strong throughout our visit, but I could tell he was getting tired prior to us leaving. What a soldier! He was totally pleasant and most of all, thankful to all of us for visiting him. I gave him a hug before I left and had a feeling that this would be the last time I would see him. I just never realized that God would take him so soon. I am so thankful that we had the opportunity to see him. "May God be with you in the coming days.... you must remain strong for Jibby's family... rest assured that we will all see him again, someday!" "I am so saddened by the news of Jibby's passing. I knew him only months, but his warmth, genuineness and unassuming character made him so loveable and approachable. I can only imagine how much his family and friends will miss him. "I am honored to have met him last June at the “Lest We Forget Forgotten 500 Reunion” in Michigan. He campaigned to the end to vindicate Gen. Mihailovich. We will honor their memory by continuing the campaign to award Jibby the Medal of Honor." "I wish to offer my condolences to you on the passing of Arthur. I was reminded of his exploits in Yugoslavia and his participation in the Halyard Mission which led to the rescue of over 500 American, British, and Canadian Airmen. I read the entire story of his heroics in a local newspaper. 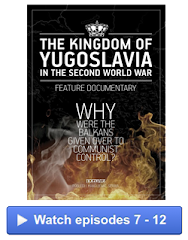 I immediately called him and we discussed our experiences in Yugoslavia. I told him how when he parachuted down near the airfield at Pranjani in August of 1944 and ran up the hill to the airfield, I was one of the first airmen to greet him as he approached with Captain George Musulin and the other member of their team. It took about nine days until Jibilian and the team could set up the rescue. The sick and wounded were flown out on August 9, 1944 and the remaining 200 airmen, including myself, were flown out on August 10, 1944. But Jibilian wasn't through yet. He and the team stayed behind and rescued over 300 additional airmen. 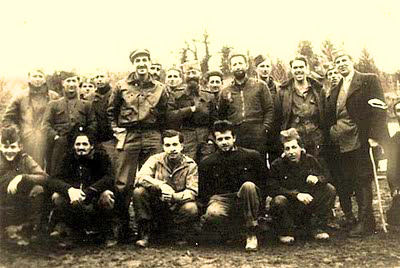 They left only when they knew that the airmen had been returned to Allied control. "I thought of that rescue team many times in the years that followed. It took a certain type of person to participate in that kind of mission. Arthur Jibilian was that kind of person... Brave, Strong, Dedicated, Conscientious, Loyal and Devoted. Thanks, Arthur Jibilian, along with General Mihailovich, the Halyard Team, and the Serbian people for saving my life and the lives of over 500 of our fellow airmen." One of the "Forgotten 500"
"Others had their Superman, Captain Marvel, and Green Hornet Super Heroes. I had Nick Lalich, George Vuynovich and Jibby! Rest in Peace, Warrior Arthur Jibilian. 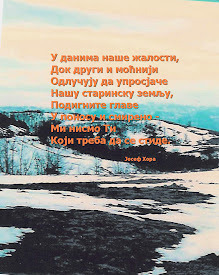 Vjecnaja Pamjat. "I admired Jibby as the finest kind of warrior, not only as the brave and gifted WWII O.S.S. radioman, but also in his later years, when he realized there was still another fight to be won. 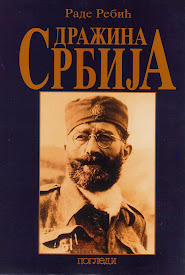 "As a warrior whose thoughts are pure and good, Jibby tried desperately against all odds to tell the true story of General Draza Mihailovich, the Serbs, and the rescue of the 500+ U.S. airmen from behind German-occupied lines in the former Yugoslavia. Throughout these 60+ years, he fought the good fight, defending the honor of General Mihailovich and his Chetniks, in guest appearances on airfields, in Museums, on TV and in interviews for documentary films. Goodbye my friend, Jibby. "To the very end, you were always so helpful to me and so many others. I thank you for your kindness, friendship and love. You were a wonderful part of my life from the time I was seven. Good-bye my special Super Hero!" "So sad to hear that Arthur Jibilian has passed away. I knew Mr. Jibilian was seriously ill, but held out the hope that he would be with us awhile longer. May this dear and brave man now rest in peace, and may his memory be eternal. I'm honored to have known him via this electronic medium. Mr. Jibilian was so appreciative and always made himself available to answer any questions or clarifications from me. I will miss his occasional emails. My condolences to his wife and daughter." "Was terribly saddened by Jibby's passing..."
"This is very sad news. JoAnne said he looked sprite last summer. We do wish these heroes would last forever." "I was stunned. We had lunch with him March 11th (10 days before his death) and while he appeared a little weak, he ate a healthy meal, was jovial and wished us well. 'Lest We Forget' has a mission to 'brighten the future by illuminating the past' and the story of Jibby and how he saved over 500 American airmen during Operation Halyard is a story that must never be forgotten. His heroic story will live on for decades. While small in stature, he was a giant of a man and it was truly an honor to have had the chance to meet him. I never saw Jibby when he didn't have a smile on his face. If there was ever a soldier who deserved the Medal of Honor it is Arthur Jibilian!" "No doubt Jibby will continue his fight to let the world know the meaning of the name Draza Mihailovich, with even greater effectiveness, from where he is now." 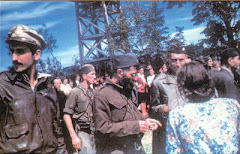 "Jibby was a shining example of decency, loyalty and perseverance in defending Draza and his Chetniks. 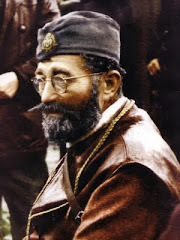 "He witnessed the abandonment of Draza by the ruthless Allies while he enjoyed the friendship and sacrifice of the Serbian people, and he felt totally confident moving around Pranjani without restrictions, which he told us he did not experience during his brief exposure to Tito’s murderous Communists. "Jibby, you vindicated the perfidy of the U.S. foreign policy and have gained the well deserved admiration of the Serbian people in general and of your Chetnik buddies in particular. "May you rest in peace!" "During that time, as during his recent on the air interview in my radio program Foreign Policy and You, I met with a man with one of the most gentle smiles I have ever seen. "By the way he told the story of Operation Halyard, in which he was instrumental…never did he give any indication of boasting or bringing attention to himself as he could have done. The word "we" drowned by overwhelming preponderance any allusions to "I". "Volunteering for such a mission to save the lives of others at the risk of his own life was "above and beyond the call of duty." Mr. Jibilian did not receive the honors he deserved while living. Politics got in the way, geopolitics, that is. Our government and our allies decided at one point that it was more expedient to keep that historical event of WWII under covers. It is still not too late." "It was my honor to have conducted his last public interview on March 17. " "With the passing of Arthur Jibilian, our country has lost a true American hero. Arthur's brave work in rescuing downed American airmen in World War II must never be forgotten, and I am honored to have known him. He was the quintessential American hero -- humble, modest, quietly proud, but ferocious in seeking justice. I was often struck by how such a pleasant, amiable fellow would suddenly become full of fire and fury when the subject of Draza Mihailovich and the betrayal of the Serbs arose. Art was a man who knew what was right and what was wrong, and he wasn't afraid to speak up for those in the right." "Rest in Peace Uncle Arthur, we Love You and you will never be forgotten!" "To the Jibilian Family: Be strong and brave, because that is how Arthur was all of his life. He did a great service for the Serbs over many years and millions of them will be with you in spirit in remembering Arthur Jibilian, a good man - a wonderful human being." "The last of the Halyard Mission operators in the field is no longer with us. 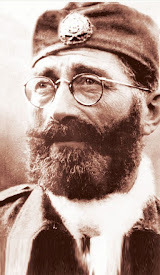 Art Jibilian was a brave and courageous man who did not flinch, who unselfishly gave of himself and gave everything to further the cause of justice and freedom and General Mihailovich. More than 500 airmen owe their lives to Jibilian and the Halyard team, and he was the last living connection to those men." [March 2010] When I talked with you on the phone just a couple of weeks ago, we ended the conversation with my asking you not to die. You assured me that you would try your best not to. Now, I have another request: When you reunite with all the great ones of Halyard, including the good General, please remember to take lots of pictures. The memory of you, especially how fully you lived your life these last few years, will inspire me for the rest of my life. I really thought you would live forever. FREMONT, OHIO: Arthur "Jibby" Jibilian, 86, of Roselawn Dr., passed away on March 21, 2010 at his home. He was born on April 30, 1923 in Cleveland, OH and then moved to Toledo, OH as an infant. He was educated in the Toledo Public School District and graduated from DeVilbiss High School. Arthur was then drafted into the US Navy in 1943. He was trained as a radio operator and then volunteered for the Office of Strategic Services which was the predecessor of the CIA. He was awarded the Silver Star and was recently nominated for the Congressional Medal of Honor for his services behind the lines in Serbia. He returned to the University of Toledo where he met his future wife, Beverly-Jo Williams. They were married on October 27, 1951. Arthur was employed by Basic Refractories Inc. as Safety Director from 1955 to 1983. He was a Little League Coach and a Boy Scout Leader. He was a former member of the Lions Club and was the president of several other professional organizations. He was a member of the V.F.W., American Legion and the Brainard Masonic Lodge. He enjoyed jogging and running in several 5 and 10K races and networking with his friends on his computer. He is survived by his wife, Beverly-Jo Jibilian, Fremont; children, Debi Jibilian, Fremont, David Jibilian, Fremont, and Mark Jibilian, Phoenix, AZ; two grandchildren; two great grandchildren; and a wealth of Serbian friends. His body was donated to the University of Toledo Medical Center for Anatomical Study.